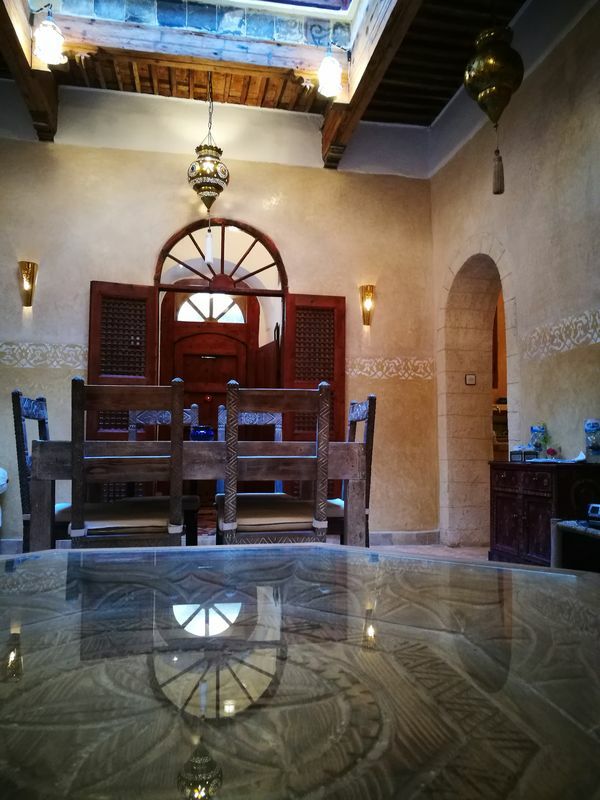 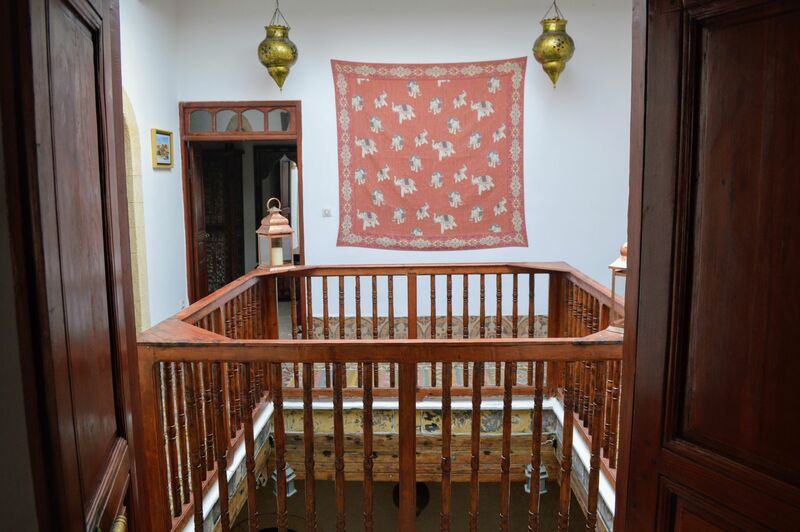 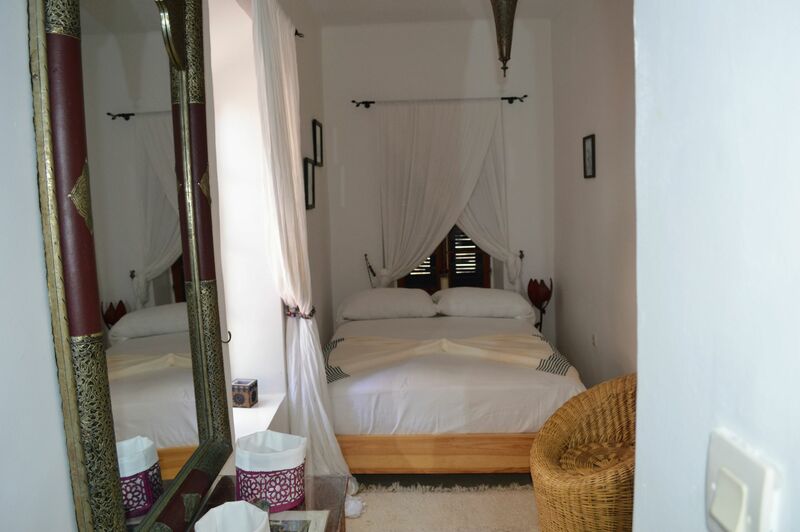 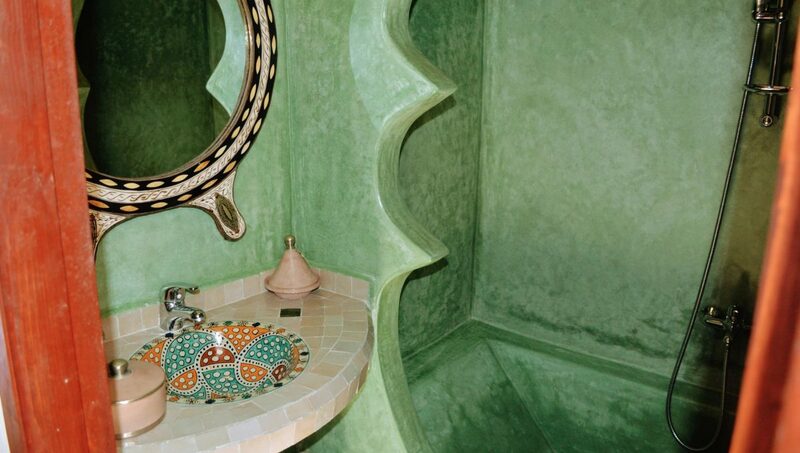 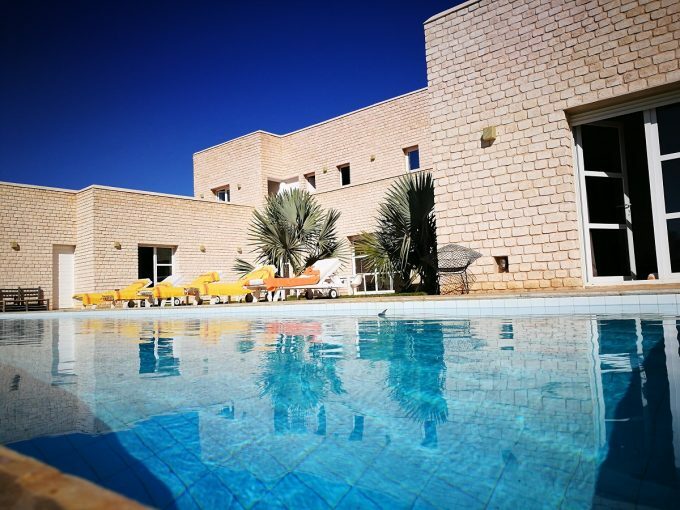 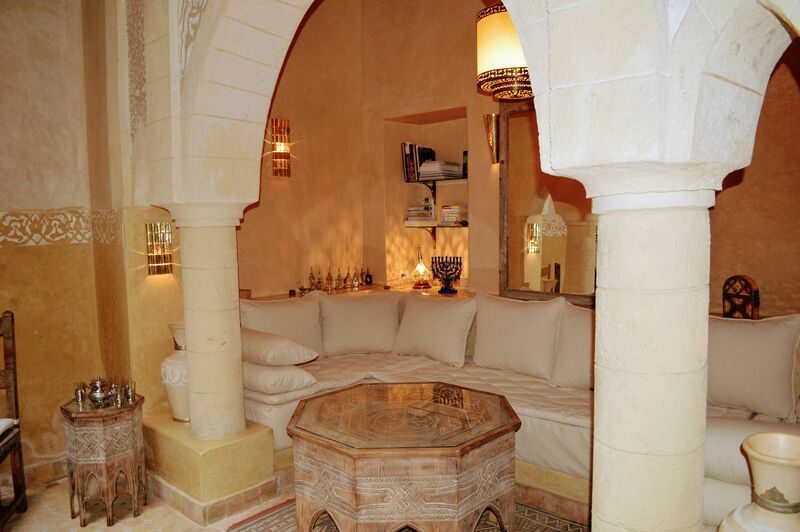 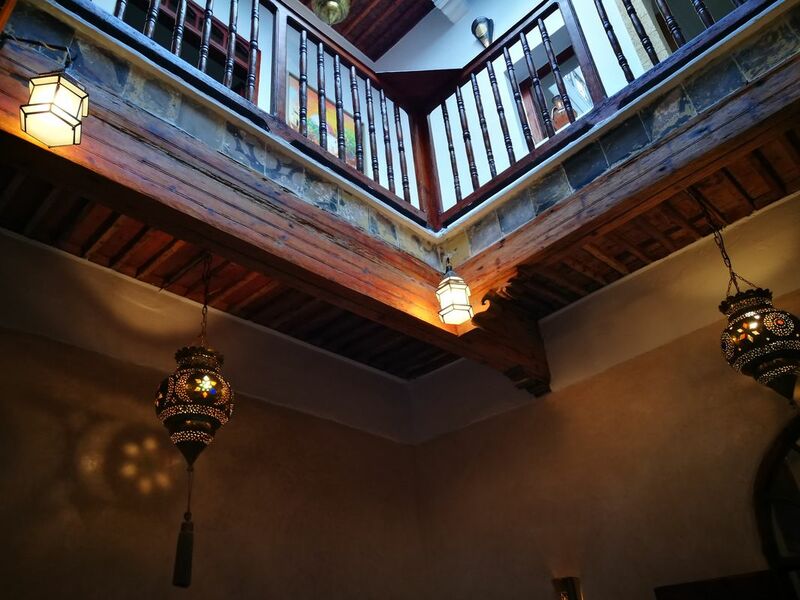 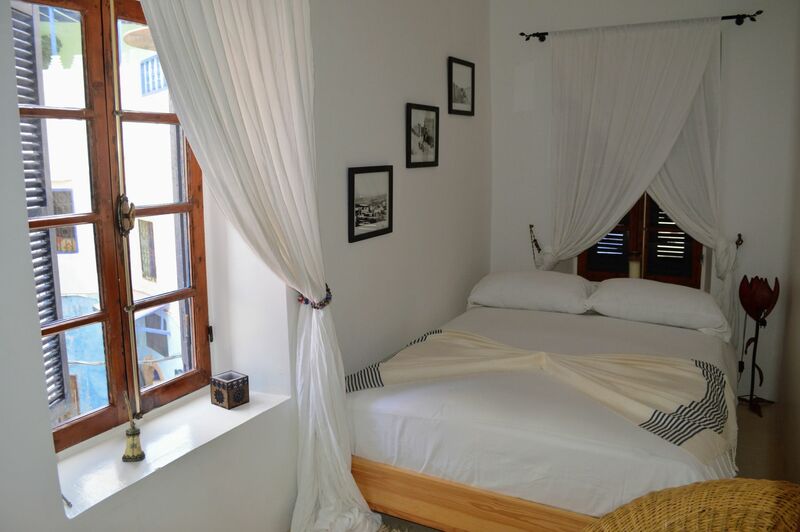 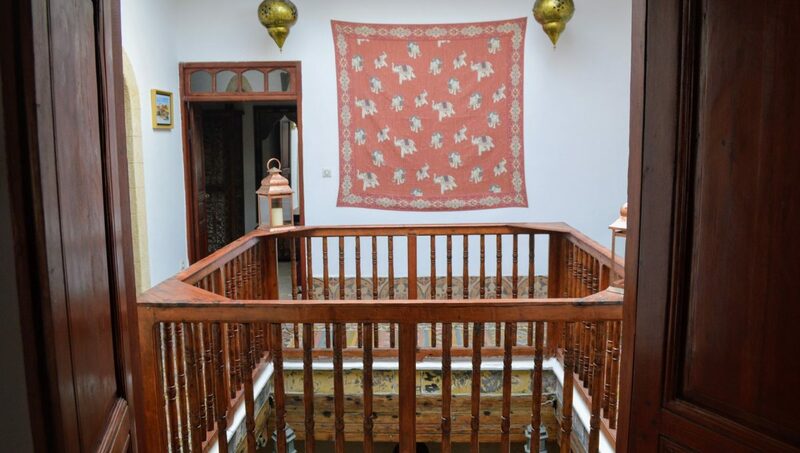 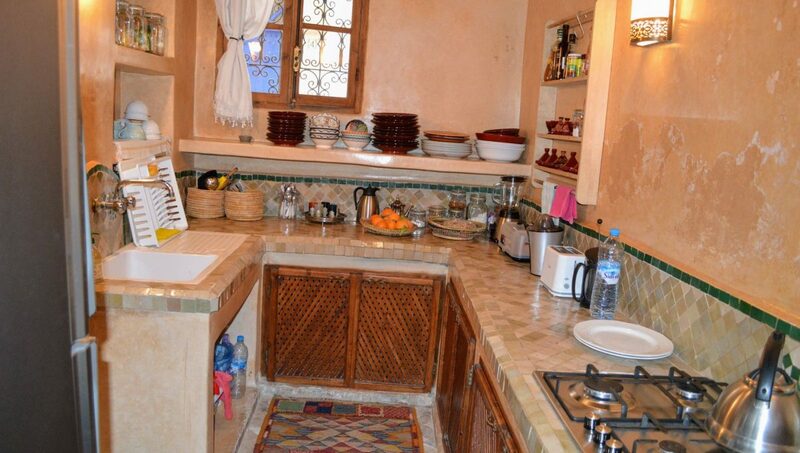 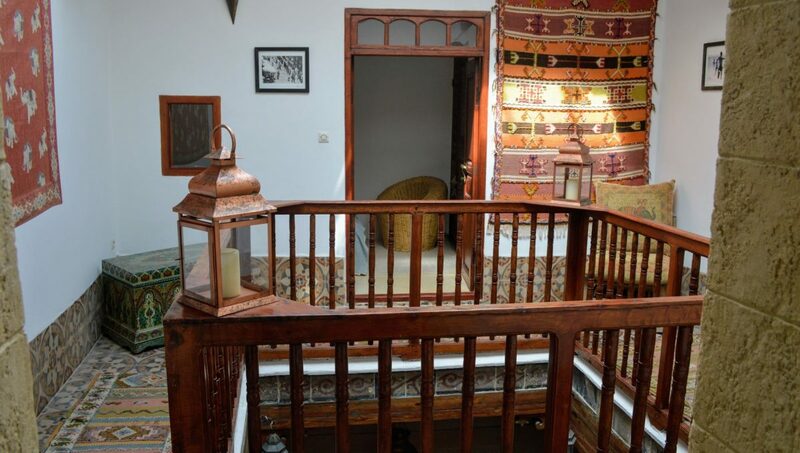 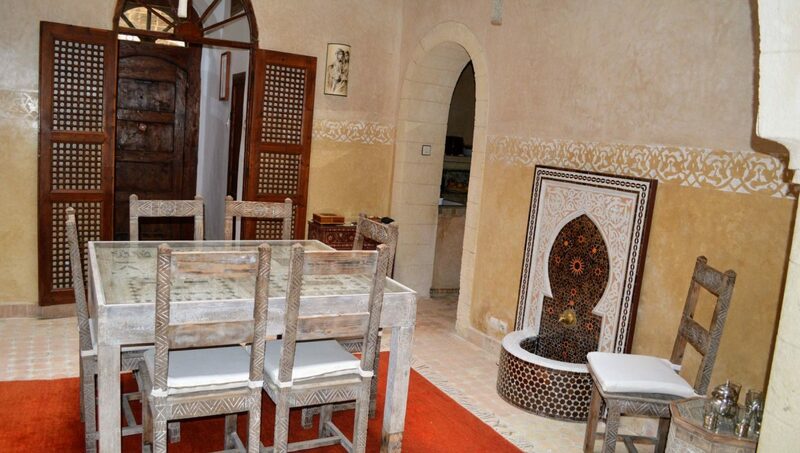 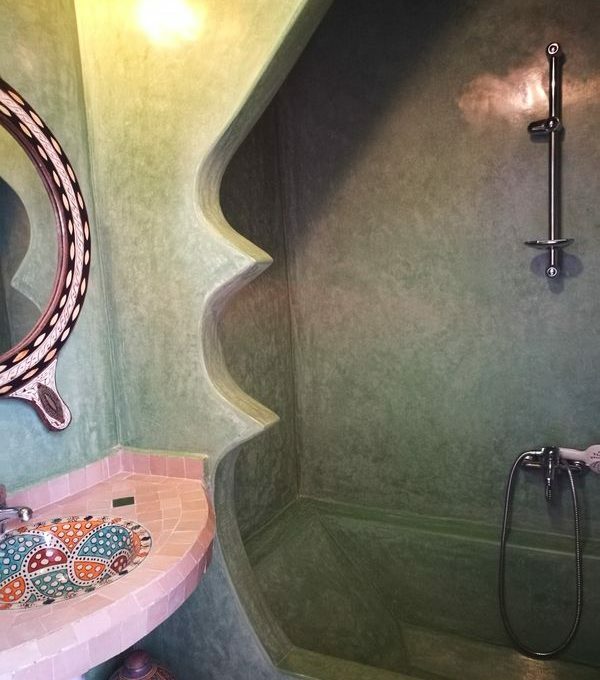 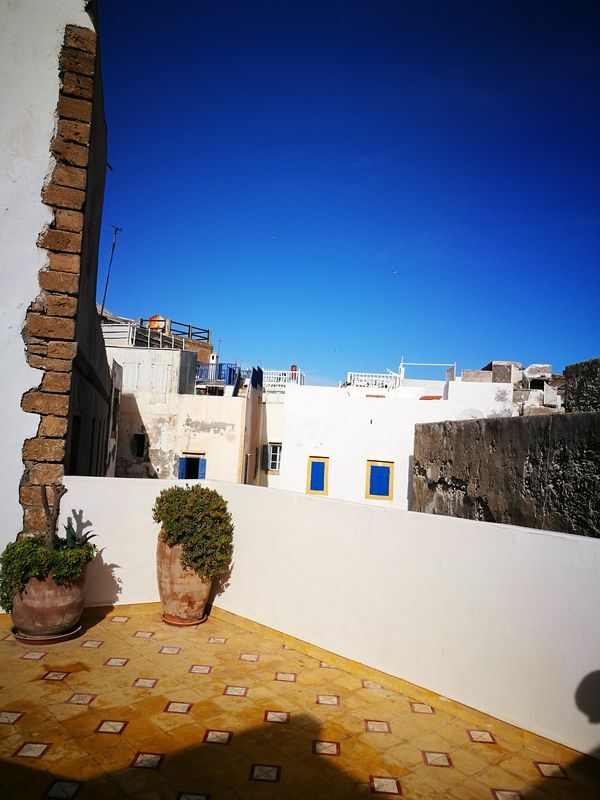 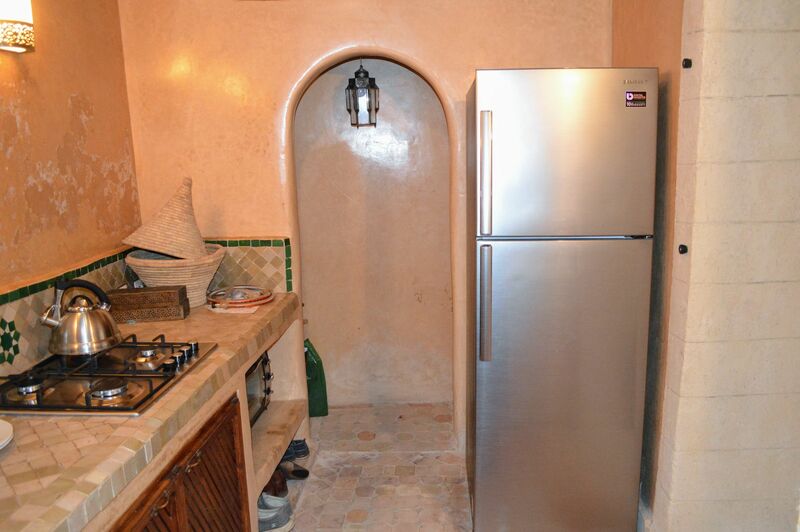 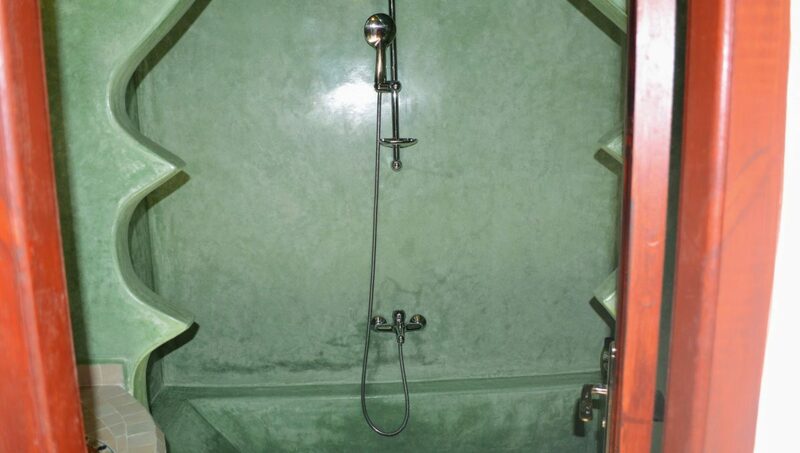 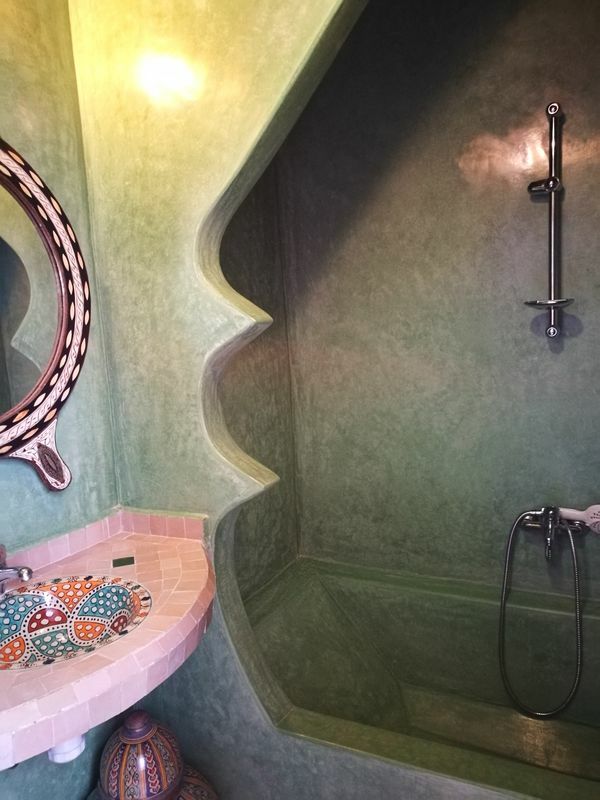 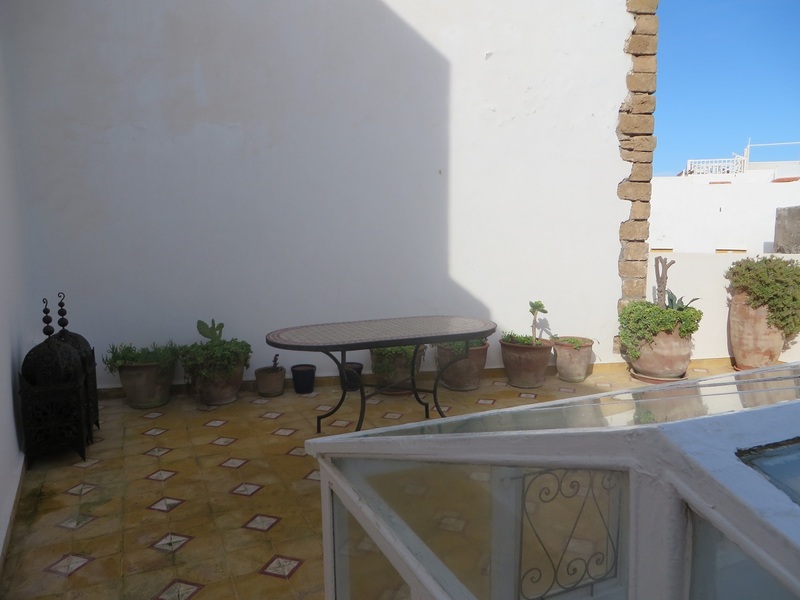 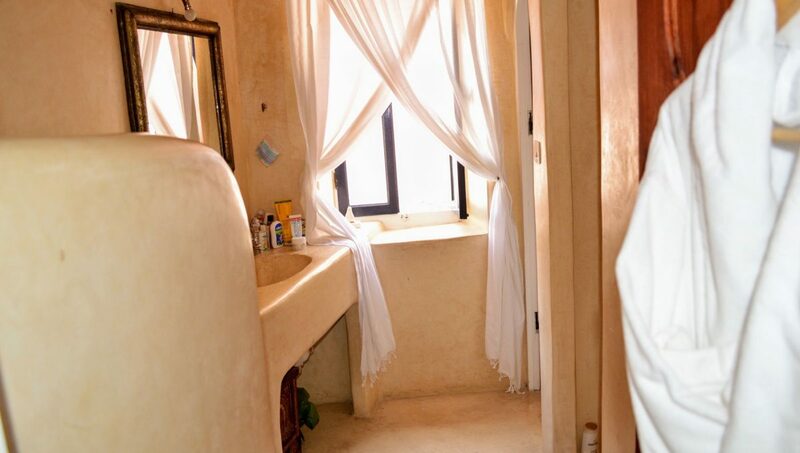 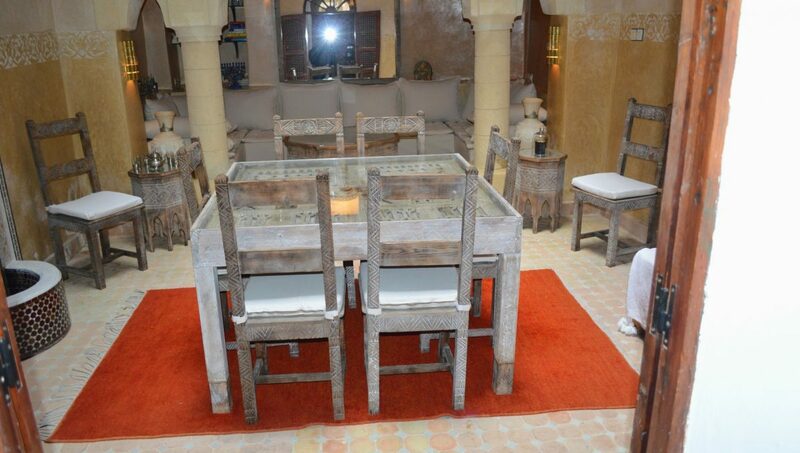 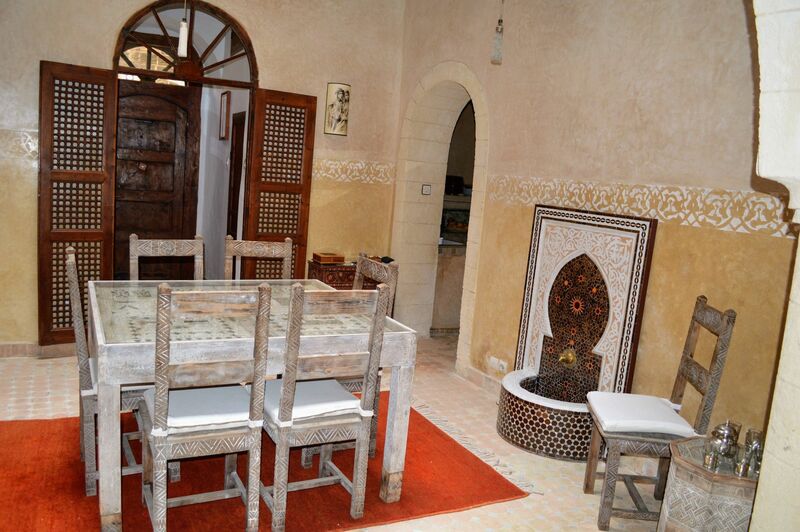 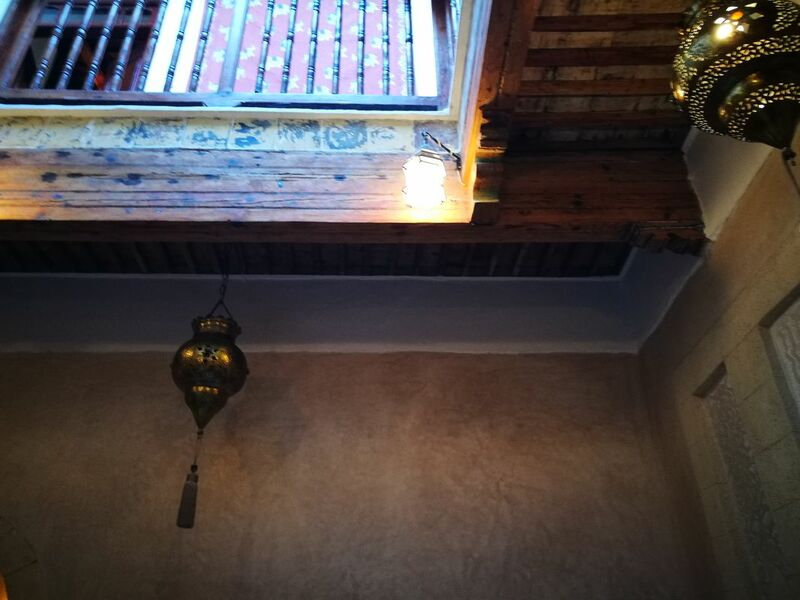 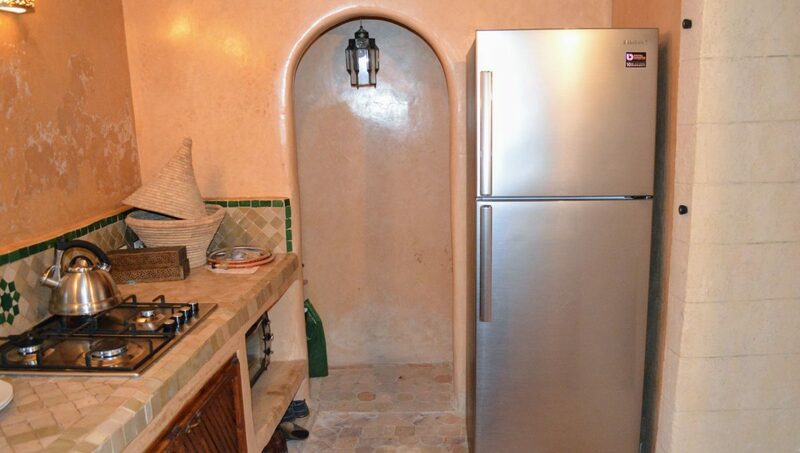 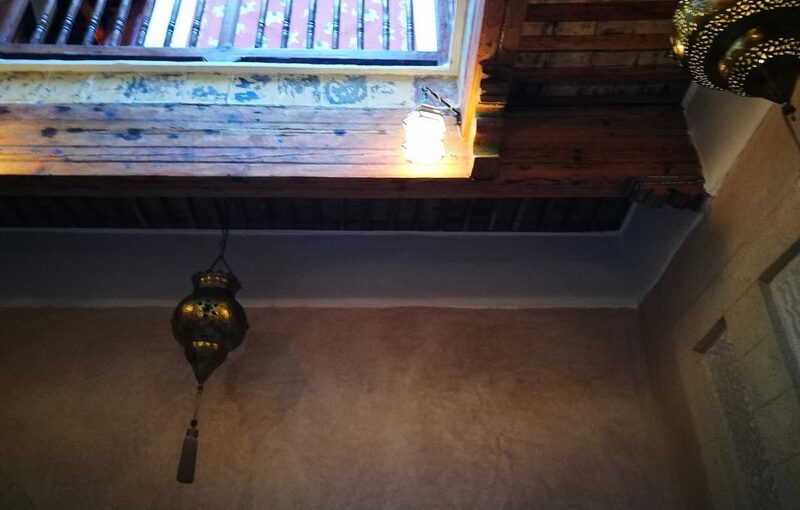 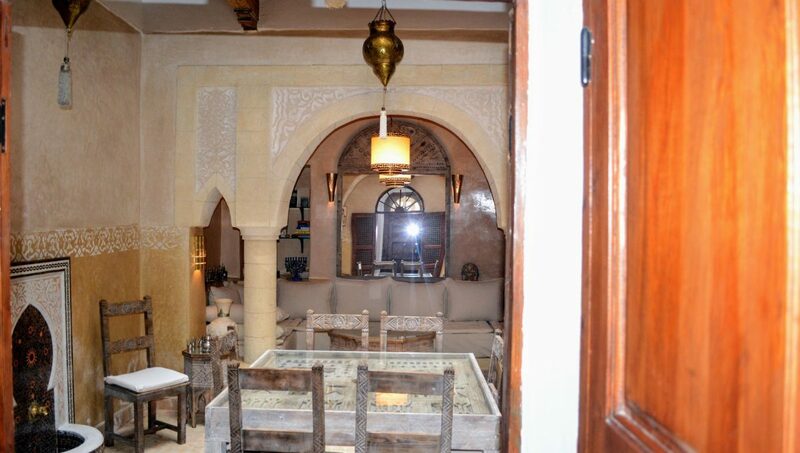 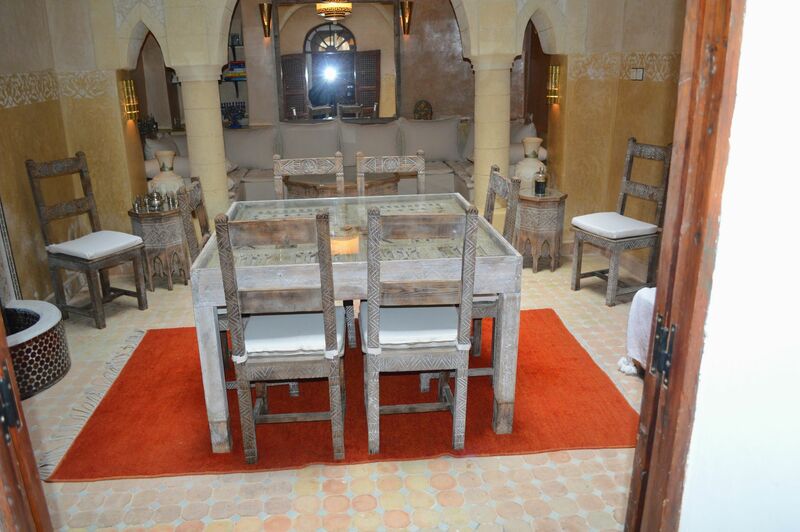 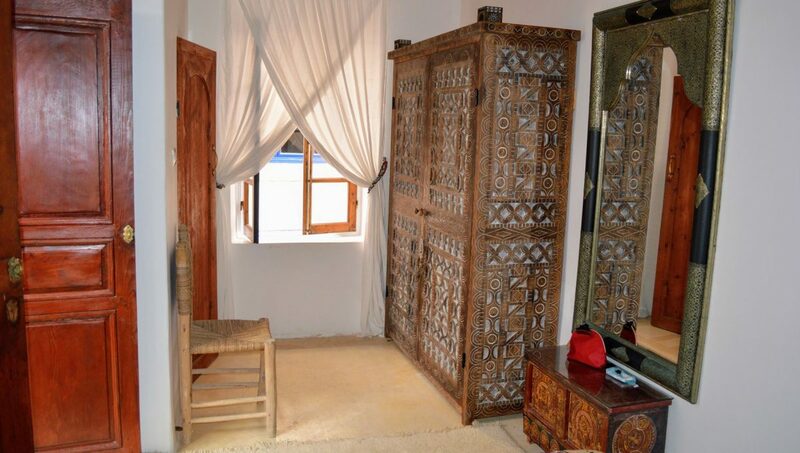 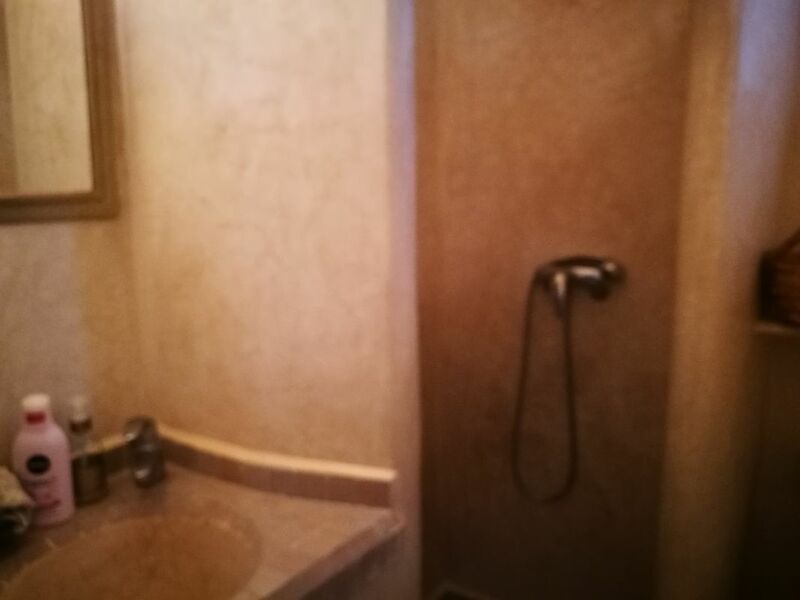 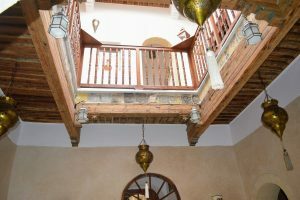 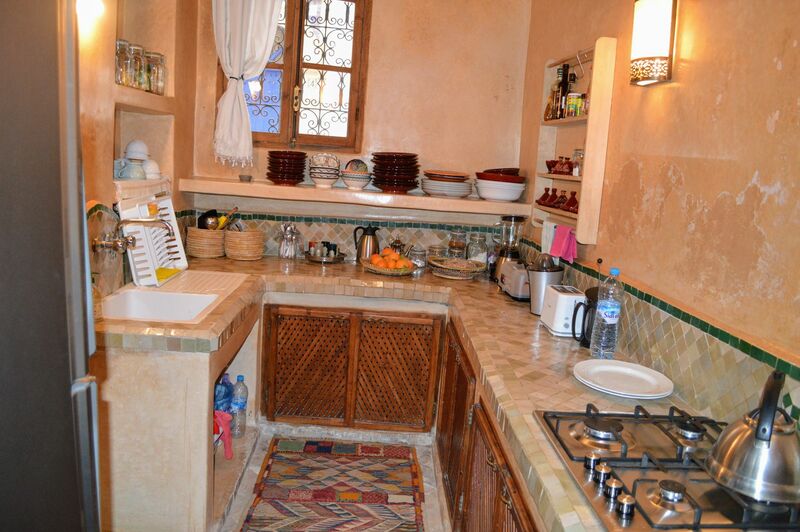 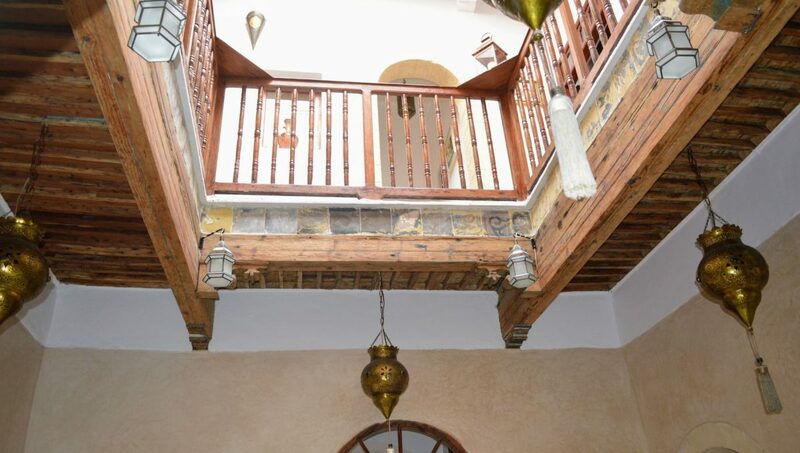 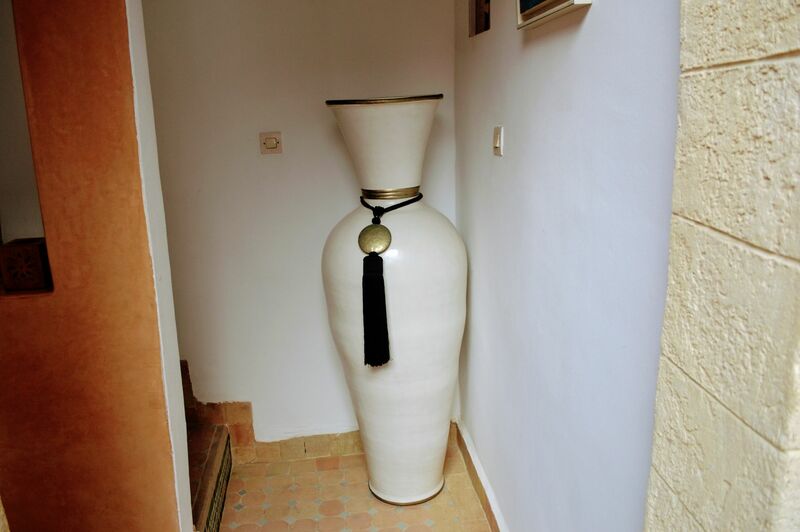 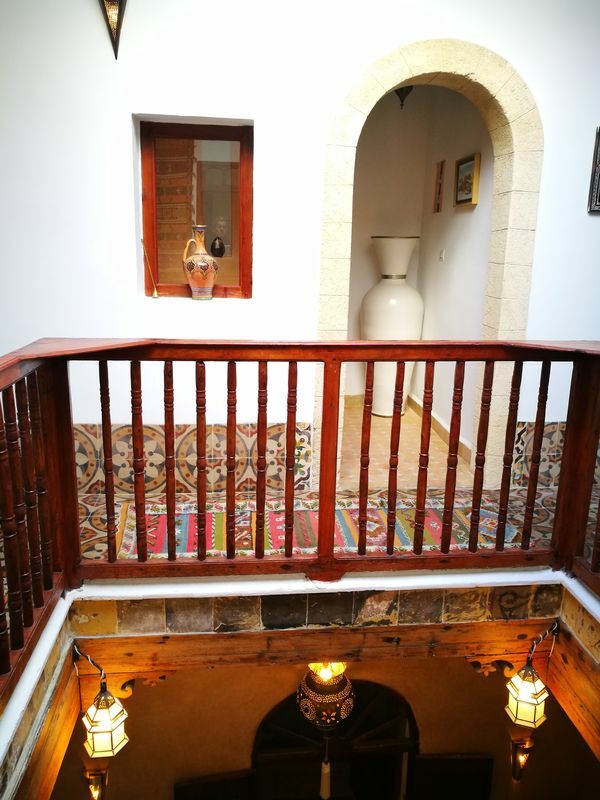 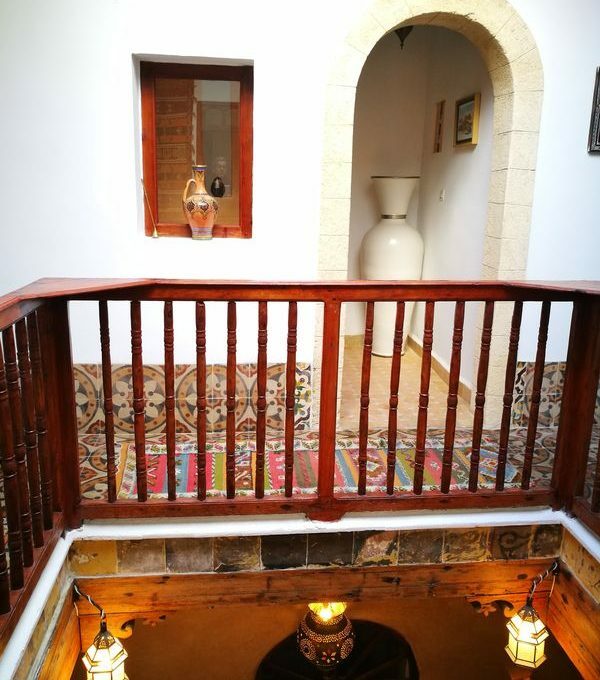 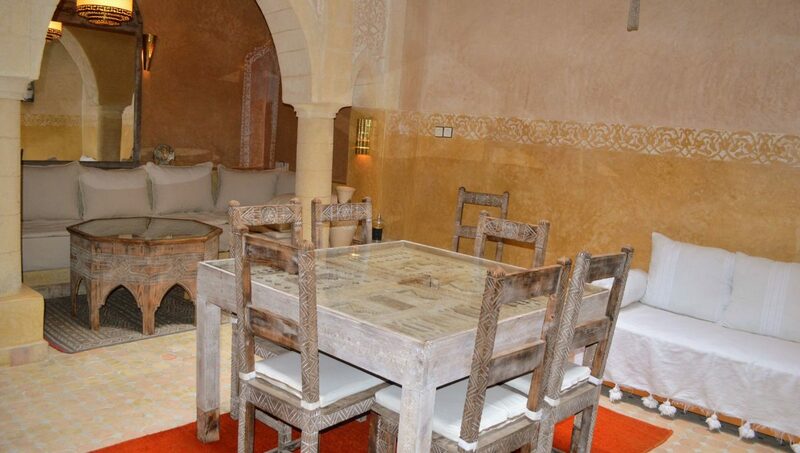 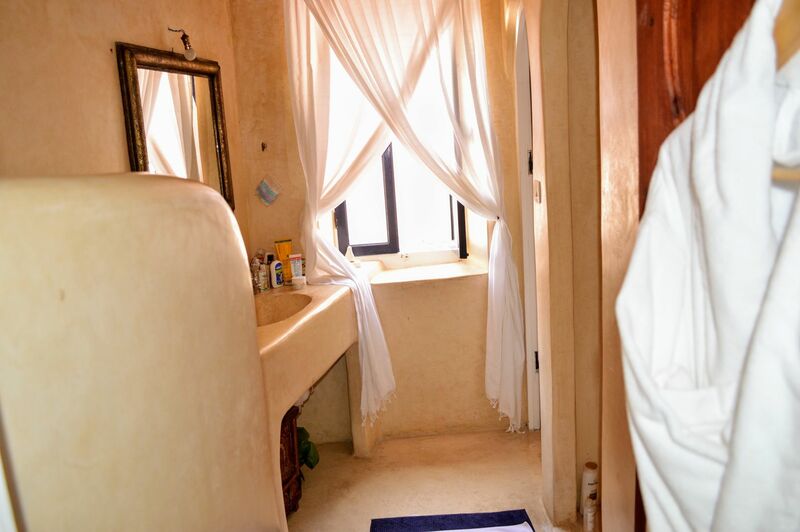 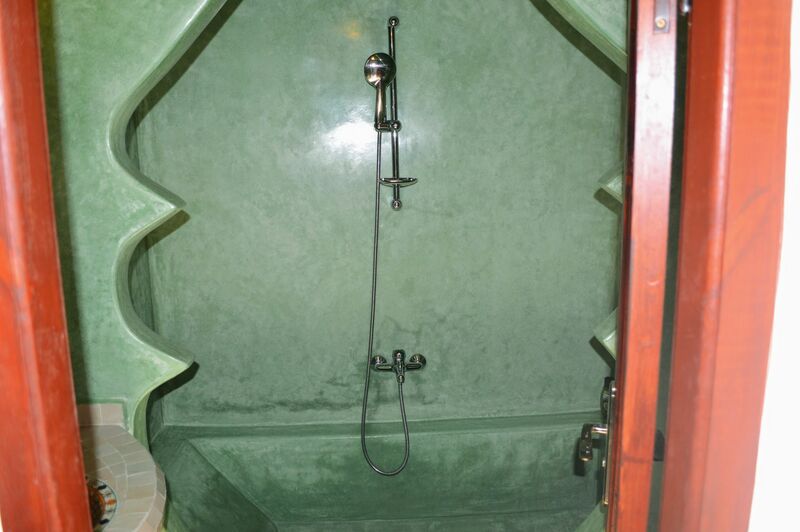 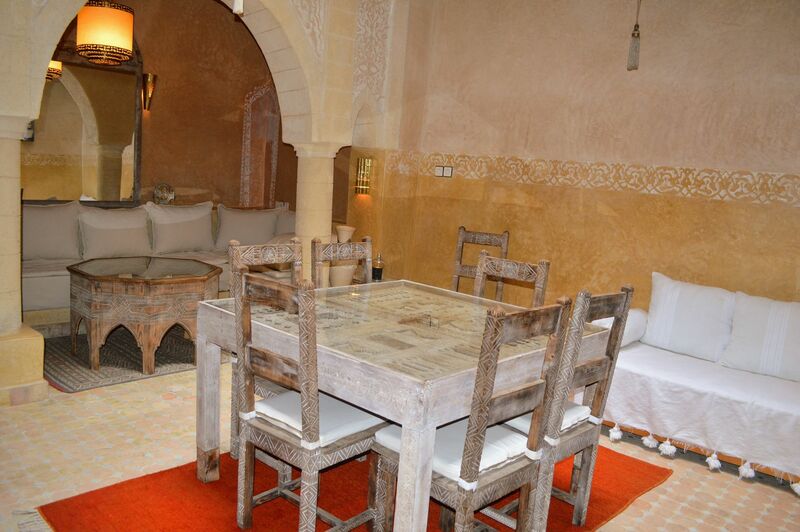 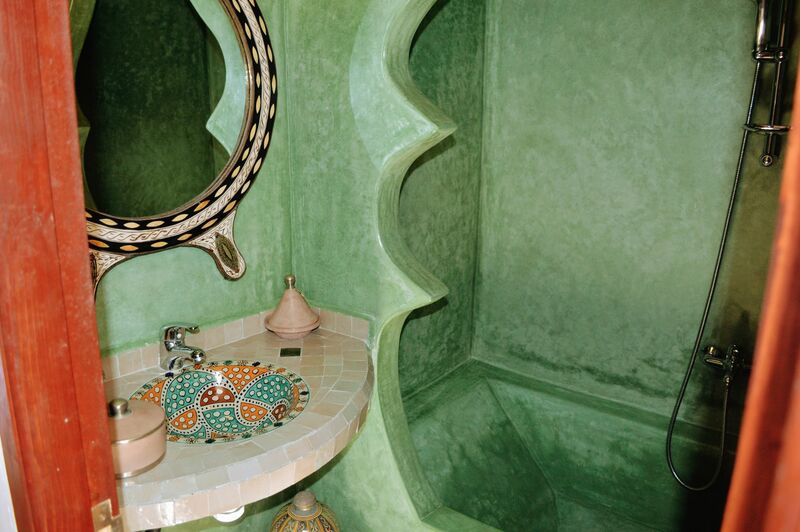 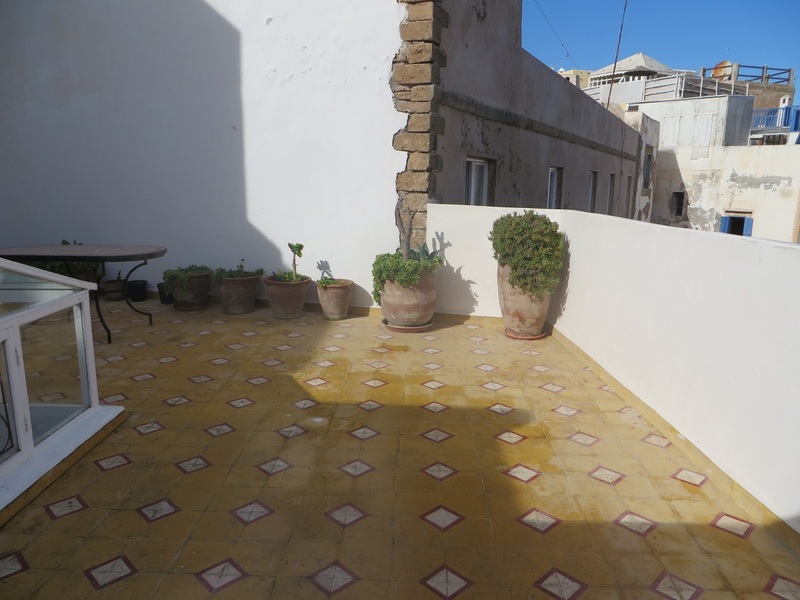 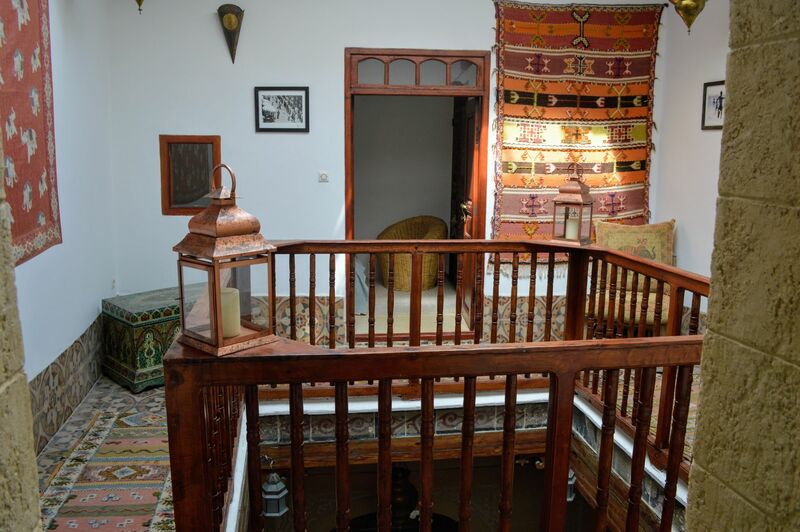 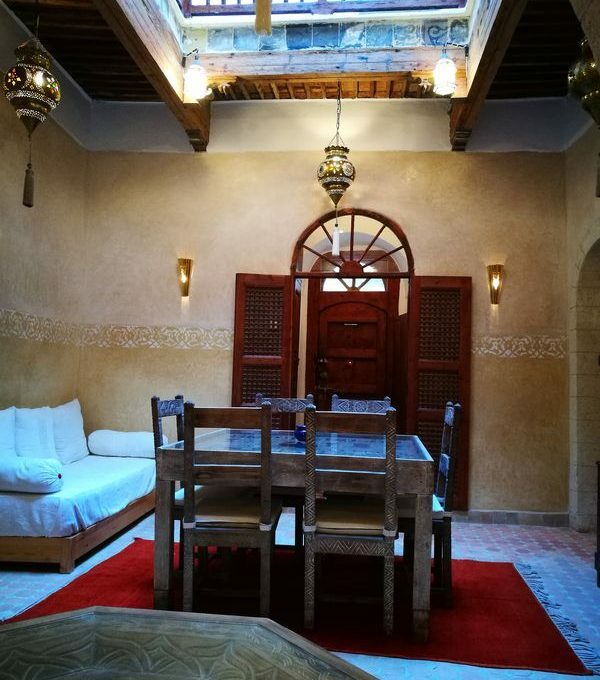 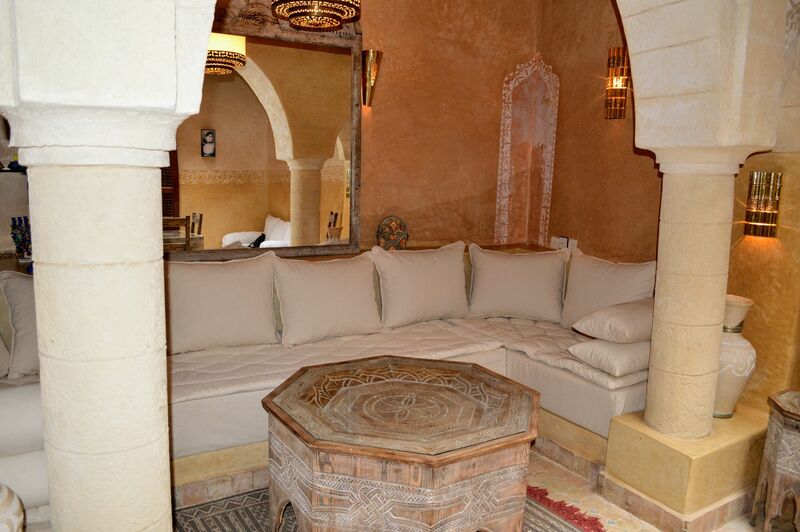 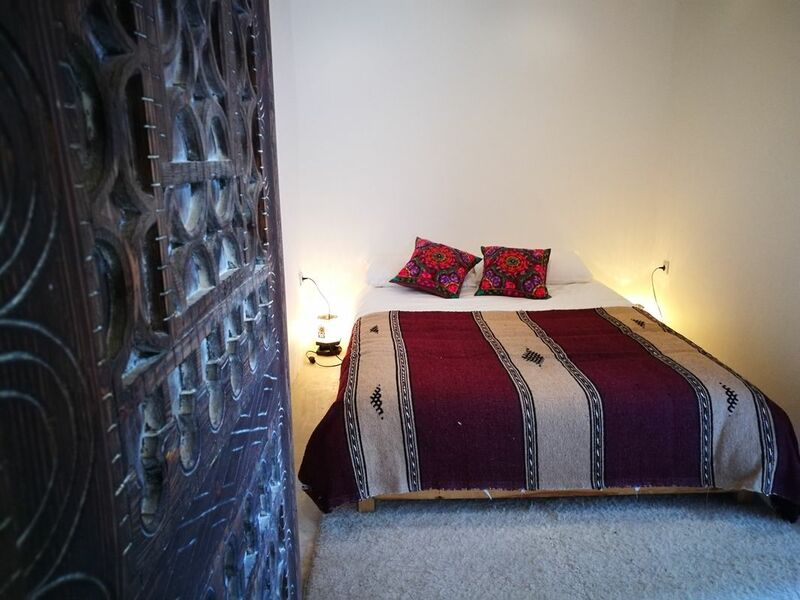 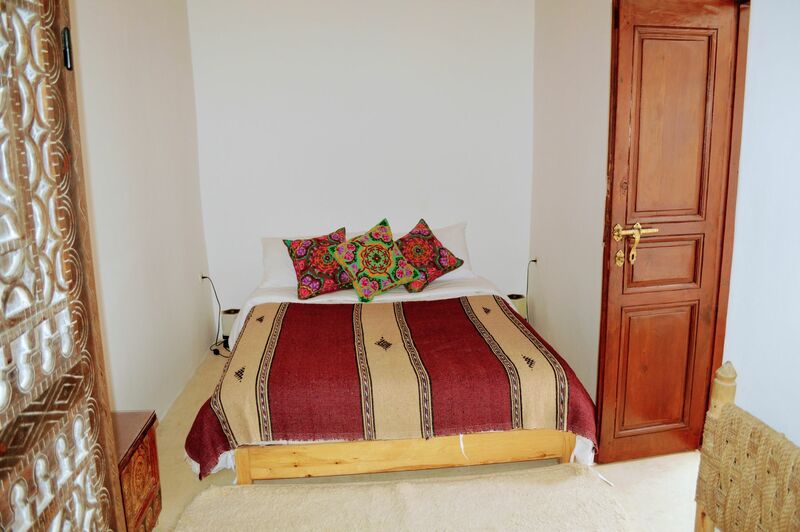 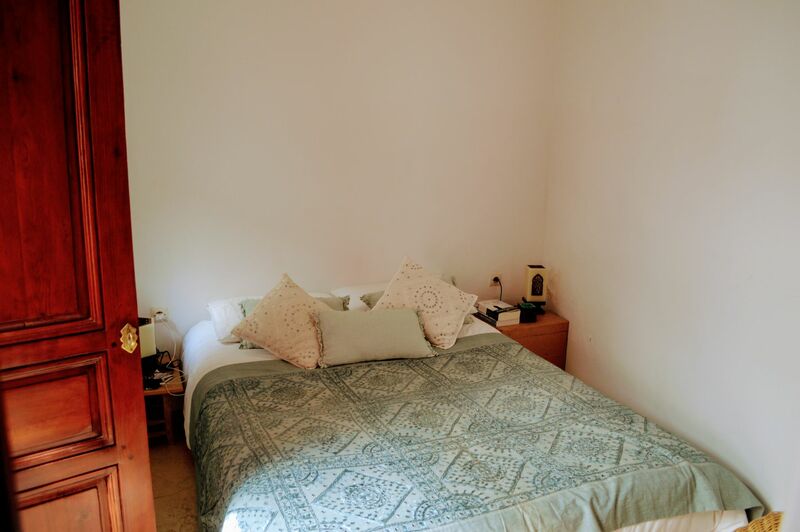 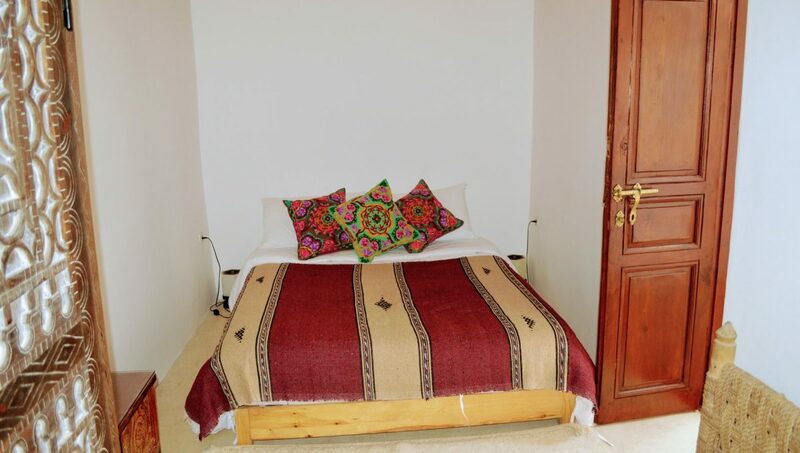 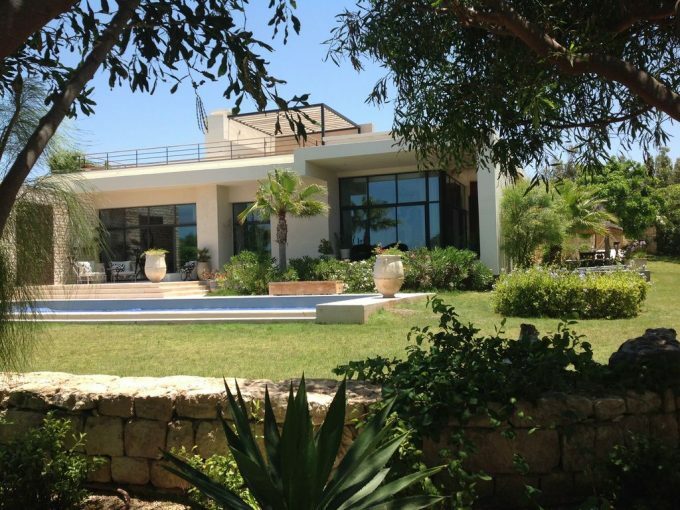 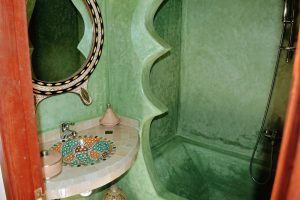 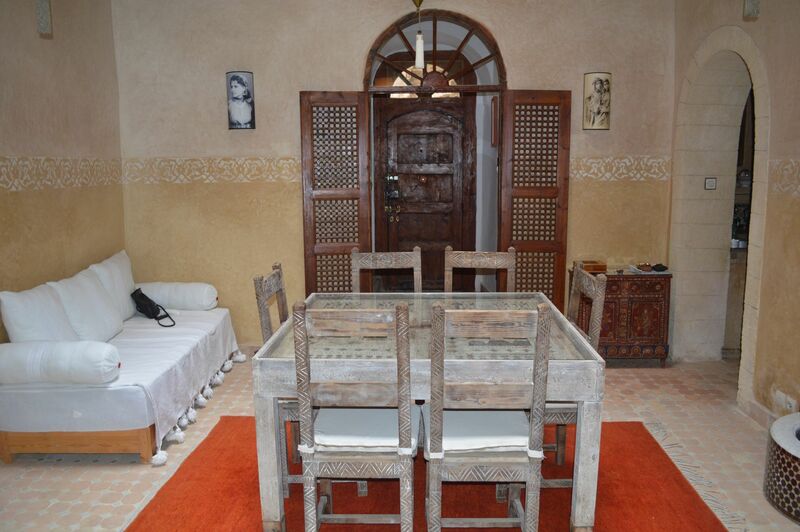 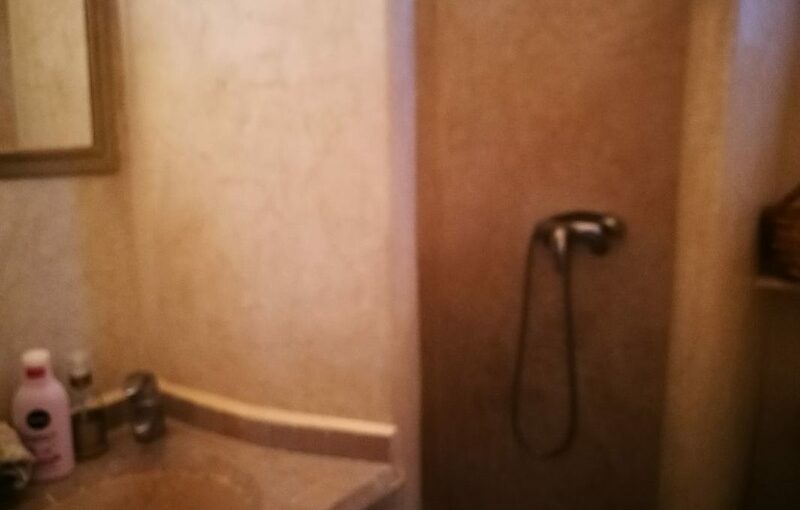 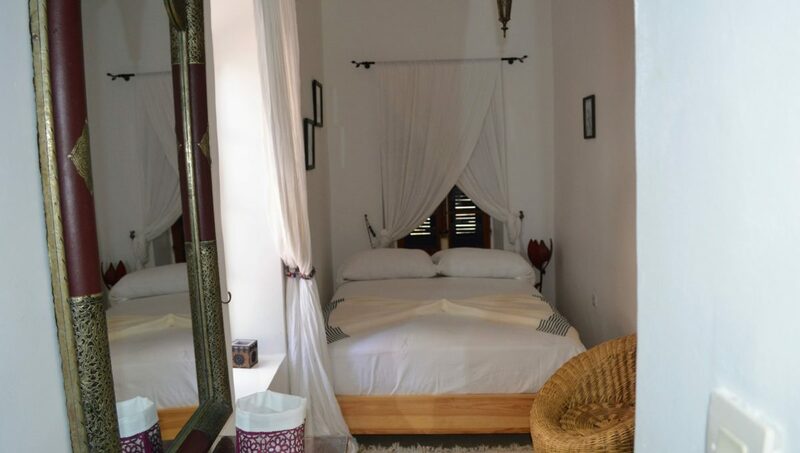 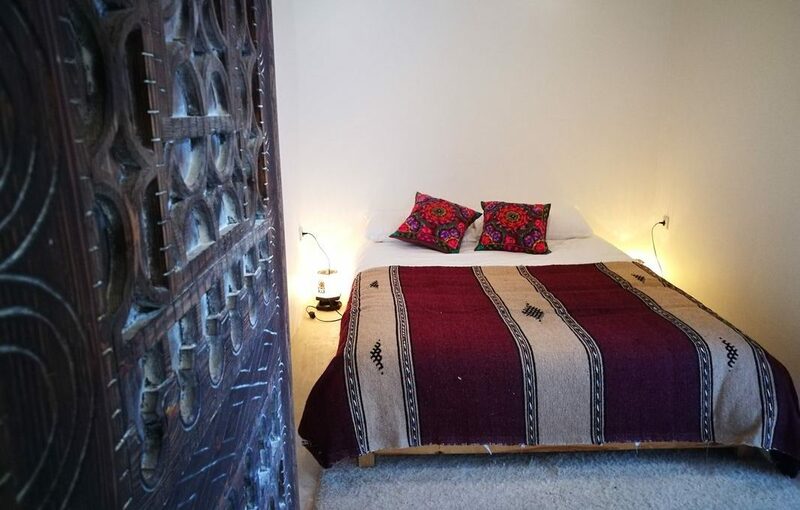 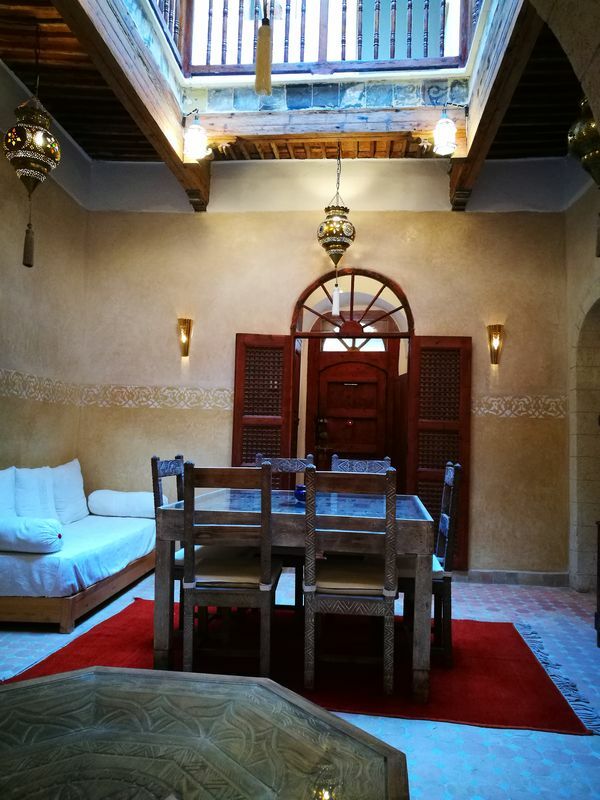 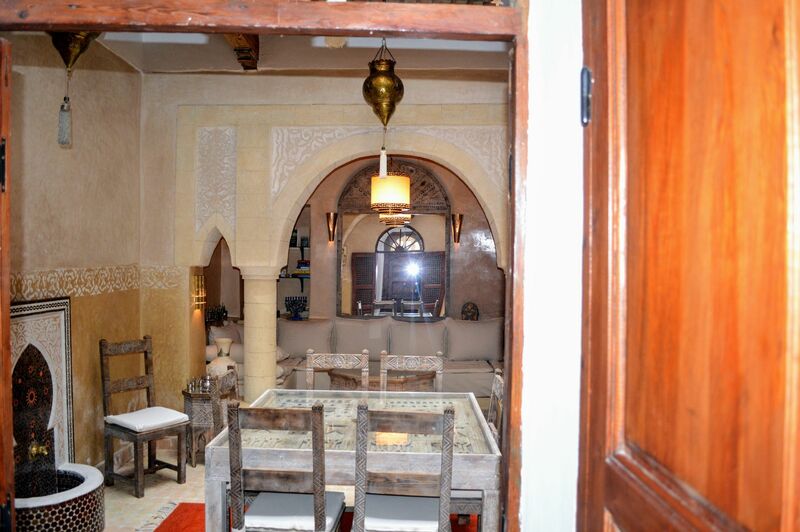 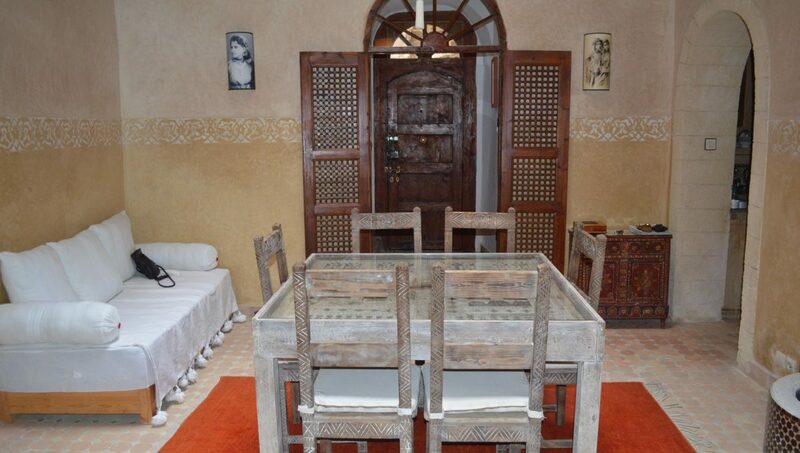 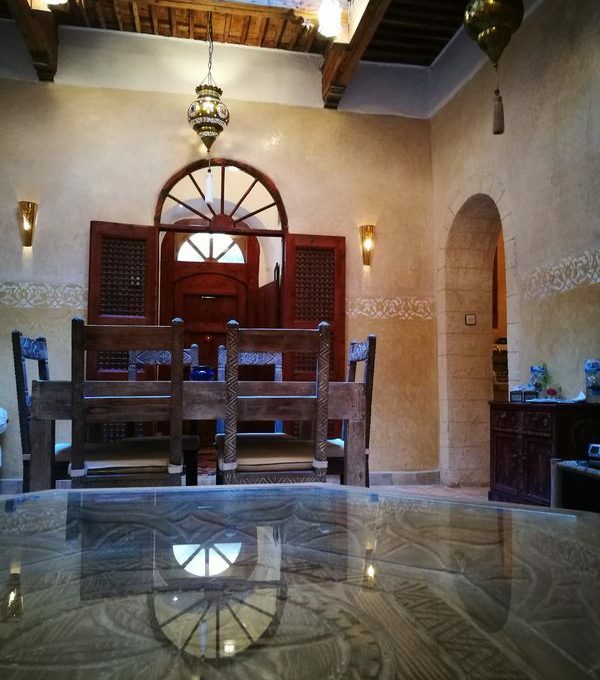 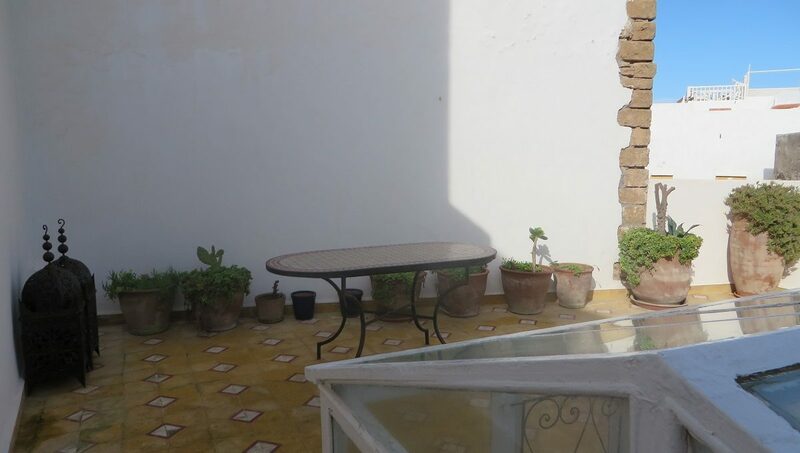 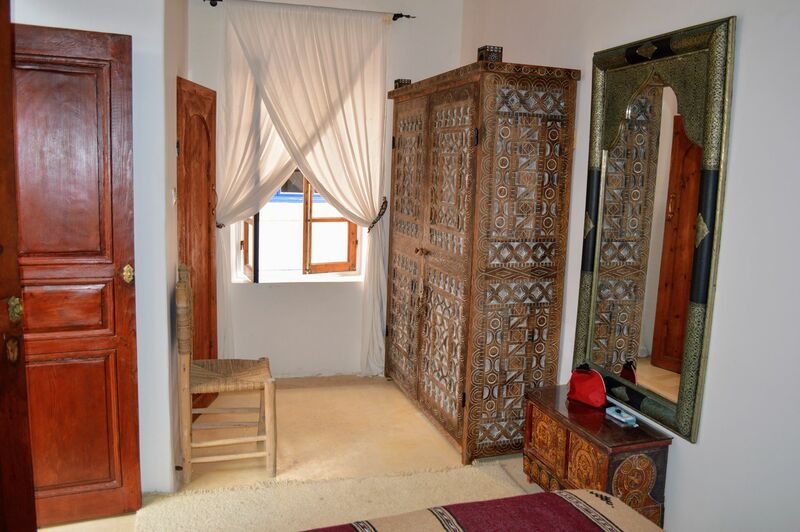 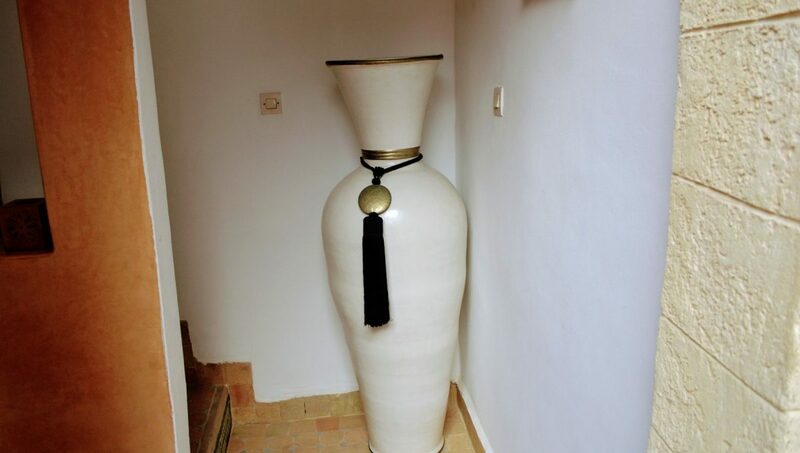 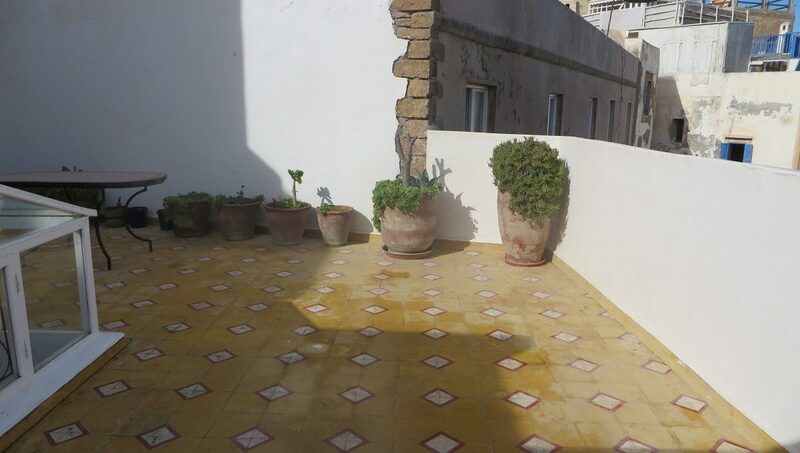 Beautiful restored furnished Riad in the heart of the medina about 160 m². 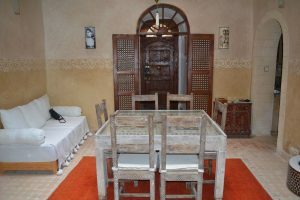 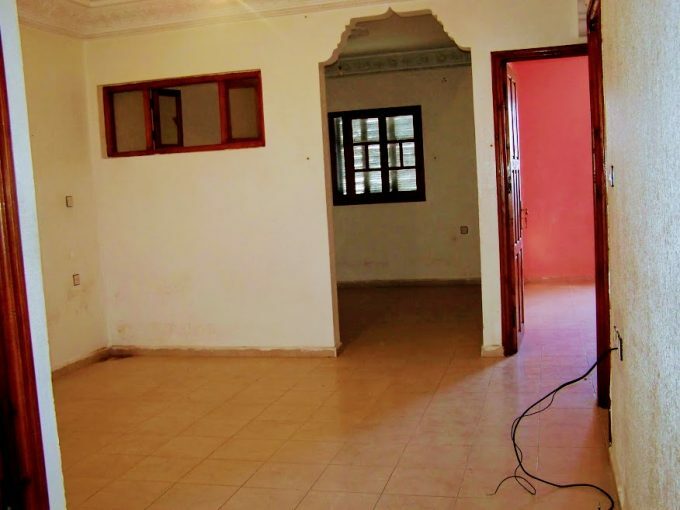 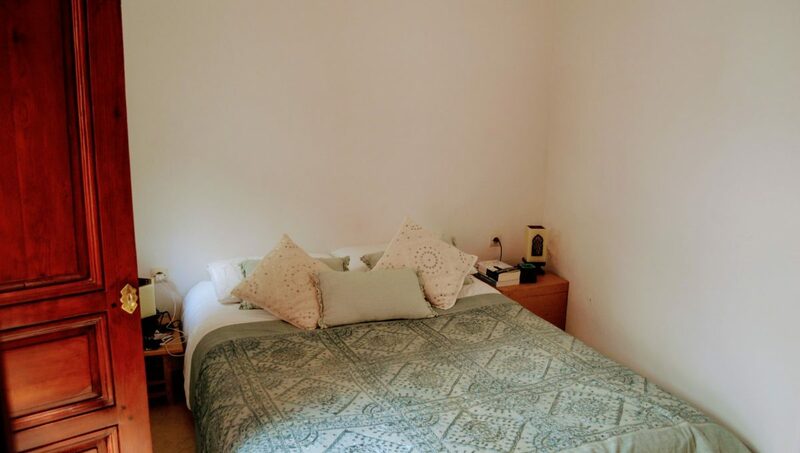 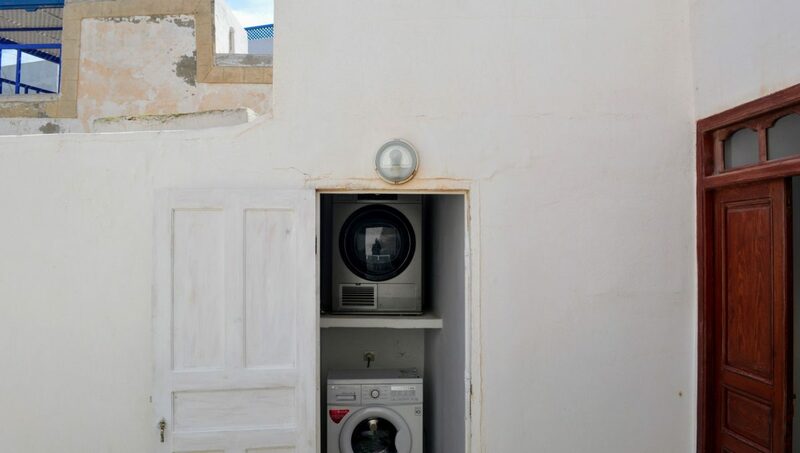 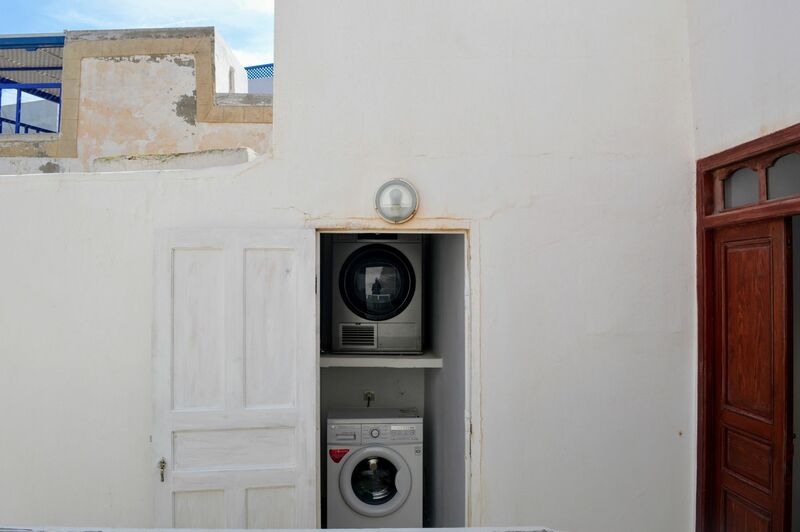 Composed at the ground floor: Entrance with guest toilet, moroccan living room, dining room, and furnished Kitchen plate, fridge. 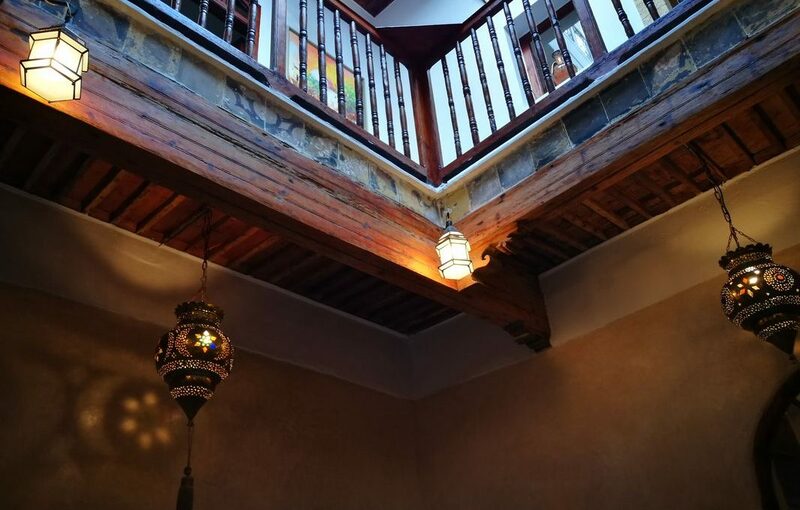 Beautiful high ceiling beautifully decorated wood Tuya.